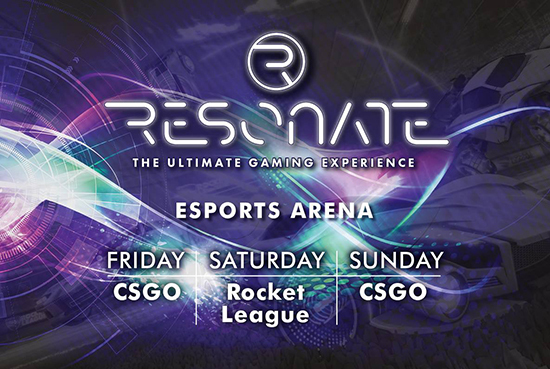 Scotland’s largest gaming festival, Resonate Total Gaming, is partnering with eSports specialists epic.LAN and Curry’s PC World to provide a weekend of competitive gaming across two arenas for visitors at SEC, Glasgow on 19-21 October 2018. Visitors can compete on esports titles CS:GO and Rocket League to win prizes. Curry’s PC world will have a separately branded arena where players can compete on titles like Fortnite and Black Ops 4. The weekend timetable of esports competitions includes a mixture of on-the-day bookings and pre-registered tournaments for visitors. The ASUS Republic of Gamers Bus, the UK's number one travelling PC gaming experience, will be joining the weekend roster. The double decker bus will be packed full of the latest ASUS ROG laptops, desktops, peripherals and gaming consoles allowing visitors to play Overwatch. Tickets prices start from £17.50 for general admission and from £47.50 for weekend passes. For gamers interested in competing in CS:GO there will be up to 8 teams of five each day and for Rocket League, 16 teams of three. Players will compete against each other throughout the day with prizes available for first, second and third places.